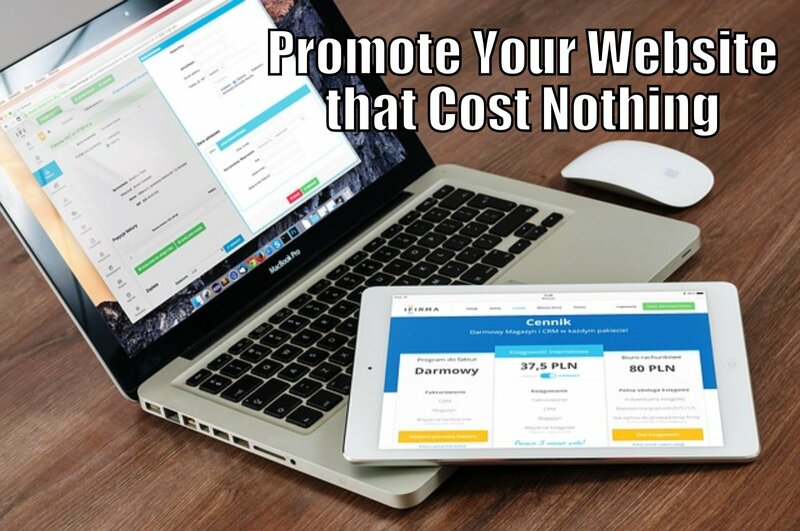 There are many paid methods to promoting your website, including Pay-Per-Click, Pay-Per-Action, banner ads, Facebook Ads, Google AdSense and Sponsored Tweets, to name a few. Many internet marketers who are just starting out don’t have the hundreds, or even thousands, of dollars required to launch a paid marketing campaign. The Internet provides a variety of no-cost marketing methods that can be just as effective, if not more effective, than paid techniques. Free marketing methods tend to take longer to take hold than paid marketing such as advertising, but the benefit– other than the cost savings– is that their impact tends to last longer. With paid marketing, once your advertisement expires, there usually is a steep drop-off in traffic. Free marketing methods can continue to funnel visitors to your site for months or even years after they have been put in place. You don’t need to spend a fortune to promote your website and get it ranked in the top spot of the SERP for your niche. All you need is persistence, patience and a bit of luck to funnel thousands of visitors to your website every day. Search Engine Optimization (SEO,) is the process of improving the visibility of a website in the eyes of the search engines people use to find what they are looking for on the internet. SEO uses organic techniques to improve the search engine’s ability to index the website and rank it higher on the SERP. The most important SEO technique is to include the best keywords for your website’s niche. If your page promotes your ladies’ designer shoe business, your site should include the keywords “women’s designer shoes” in various places, including the headline and sub heads. That way, when somebody uses the Google or Bing search engines to look for websites about women’s designer shoes, if your website has been optimized with the right keywords, it will appear near or at the top of the SERP for those keywords. Search engines use “spiders”, also known as “bots”, to crawl from site to site on the internet, indexing each page according to what it is about and ranking it based on a set of criteria, called the search engine algorithm. While the algorithm is a closely held secret and is constantly being modified to prevent people from fooling spiders, there are certain SEO techniques that will improve your web page’s ranking. Entire college courses and libraries of books are devoted to SEO. There are even SEO consultants you can hire who will optimize your site. Online directories are clearinghouse for information about businesses. They are usually categorized either by site or by genres. There are online directories for businesses in the western suburbs or Houston, and there are directories for sports adventure businesses. In many cases, these directories will publish information about your business for free, including your website address. This can be a good way to attract customers to your webpage, especially those who are either already in your geographic area or who are looking for products and services in a specific niche. While some of these directories, such as the White Pages and the Yellow Pages, will find your business on your own, for others it will be necessary for you to seek them out. Conduct a Google search for directories in your product niche and then visit all the significant ones you find. Find the area in the directory where it explains how to make submissions if they look like someplace you would like to promote your business and website. If you can’t easily find the submissions information, go to the “About” page. There you should find contact information for the site administrator, including their email address. Send them an email explaining what your business is about and let them know you would like to be included.